This is pretty astonishing health news about how exercise leads to a much lower risk of developing certain cancers and a significantly lower risk of dying from those cancers. This study was conducted on men, but experts say that the findings are equally true for women. We love to eat healthy food, but honestly, it is difficult to plan, purchase, and prepare. Fortunately, Jane is really great at making tasty, nutritious foods, like this vegan fruit tart, but there are a few drawbacks when trying to stick to a healthy menu. It takes a lot of time, effort and energy to plan and prepare healthy foods. Organic produce is pricey and goes bad quickly. You can’t eat enough healthy, organic foods to see or feel real benefits. Comparing acid drinks, like coffee, sodas, and Red Bulls to alkaline drinks, brings to mind the James Taylor song, “Fire and Rain.” This can help in thinking about the way they affect the body. 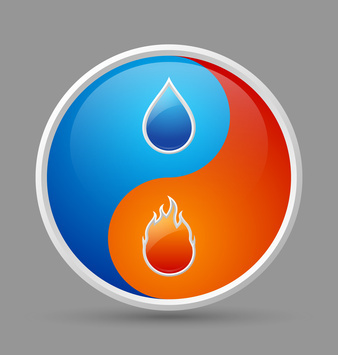 Acid, like fire, is a necessary component of our natural structure, but rain is even more essential since our bodies are comprised mostly of water. Many people our age are suffering through knee pain. Mine started 35 years ago when most of the cartilage was removed from my right knee due to a backyard football injury. Then, last year, I had 3 accidents that messed up my left knee – a piece of glass got in there, I slipped on some steps getting in a swimming pool, and when I thought that was better, I re-injured the knee playing beach volleyball. Now, doctors tell me I have arthritis in both knees as well as a poorly shaped meniscus. Fortunately, it has not stopped me from mountain biking or swimming, so I’m still getting plenty of exercise. In fact, the more I exercise, the less pain and stiffness I feel. Hi, I’m Cliff Smith, one of the owners of BestHealthFoodStore.net, inviting you to watch this video and join me for a healthy aromatic shower. First thing most people notice is the eye-opening aroma of Peppermint. Then, they see that a small amount of this shampoo goes a long way, and how I have a full head of hair while my brother and father have lost most of theirs. We’re all about alkaline (basic) foods and drinks for the healthiest body, but when it comes to healthy skin, slightly acidic is best for pH balance. Why Do We Need pH Balanced Skin? Properly pH balanced skin can protect against wrinkles, loss of firmness and elasticity, pigmentation, dryness, and a tired looking appearance. Skin is the largest organ and the body’s first line of defense. Skin is very fragile and complex – it lives, breathes, and carries out vital functions. Skin protects against infections and germs. Skin helps us excrete toxins and bodily wastes.